BP sponsored content on Politico cites BP sponsored content in National Journal, Washington Post. 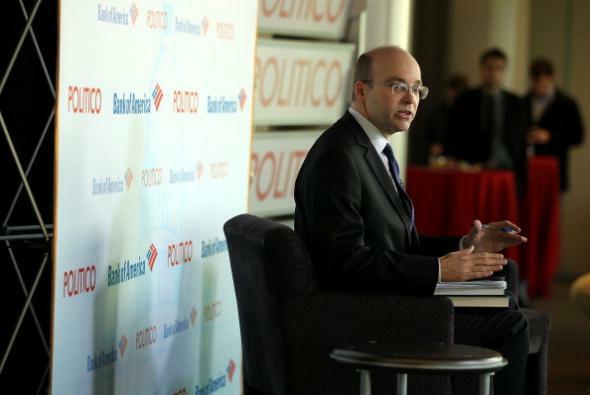 Politico’s Mike Allen at the Newseum in Washington, D.C., on Nov. 28, 2012. Seems like fair play, right? They’re clearly marked as sponsored items and their claims are supported by links to respected publications. It’s also great to hear that BP has a commitment to America. America! But if you actually click through to the National Journal and Washington Post articles cited as evidence of this acclaimed commitment, you’ll find that … they are also ads purchased by BP.